This bowling ball ships PRE-DRILLED. There are 5 sizes and the sizes that we drill are based on the weight of the ball. X-Small: 6lbs- Ages 8 and under, Small: 8lbs and 9lbs- Ages 8-11 and womens ring size from 8-11, Medium: 10lbs, 11lbs, and 12lbs, Ages 11-15 and Adult Ring size 10 or lower, Large: 13lbs and 14lbs, Mens ring size 10-12 or people with larger hands, X-Large: 15lbs and 16lbs, Mens ring size over 13 or people with extremely large hands. If you would like a different size drilled for the weight you selected, you must contact us via email as soon as your order is placed with your order number. Pre-Drilled bowling balls cannot be returned or exchanged. Bowling balls with exclusive 360 degree, limited edition graphics. At the bowling center or on display in your home or office, there's nothing cooler than a Viz-A-Ball. 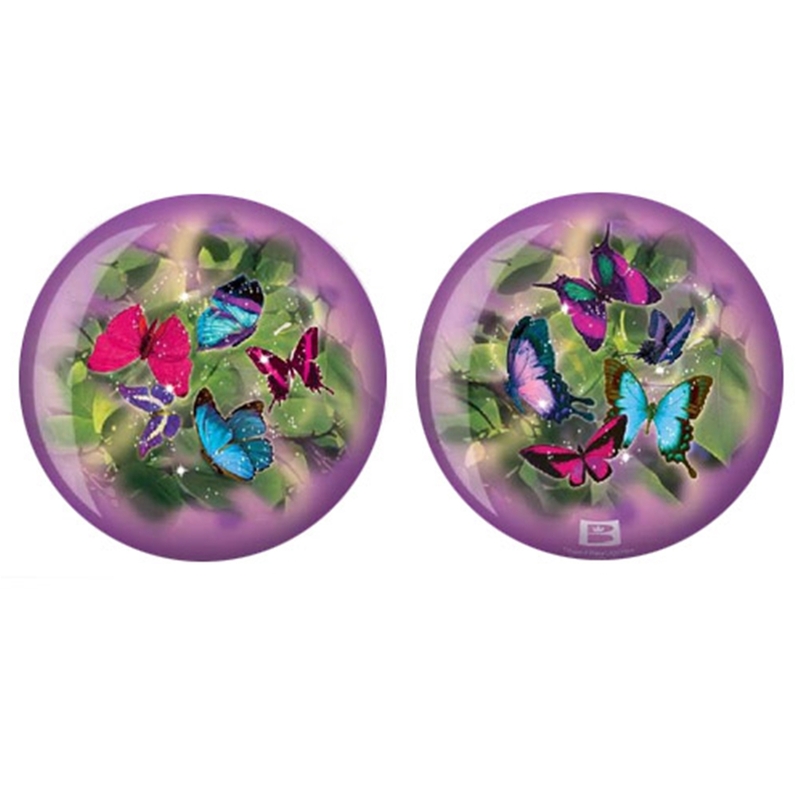 Real bowling balls designed with your favorite images.